Aparthotel Tschanun Garni Set in the Montafon Valley in Gaschurn, Aparthotel Tschanun Garni is 400 metres from the Silvretta Montafon cable cars. Guests can enjoy a spa area including various saunas, a steam bath, an infra-red cabin and a relaxation room. Aparthotel Tschanun is within a 3-minute walk of the village Gaschurn. Aparthotel Brunnenhof price per day from € 60 Aparthotel Brunnenhof is located just 50 metres from the Uga Ski Slope and 1 km from the centre of Damüls. It offers accommodation units with a flat-screen satellite TV and free WiFi. Guests can relax on a terrace or in the garden and free private parking is available on spot. Apartments Suggadin price per day from € 36 Gallenkirch, 500 metres from the village centre, Apartments Suggadin offers accommodation units with a flat-screen satellite TV and modern wooden furniture. All apartments come with a fully equipped kitchenette and a dining area. Free wired internet is available in every apartment and a PS2 games console with games can be borrowed at the Suggadin..
Apartments Susanne price per day from € 60 Located in Bregenzerwald, Susanne offers self-catering apartments with heating, free Wi-Fi and a balcony. The kitchen has a dishwasher and separate dining area. Each apartment features large windows, wooden floors, and a modern décor. 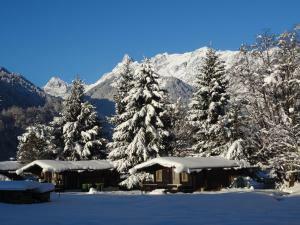 Skiing is possible in the winter, and there is a ski school..
Ferienhaus Zuderell - Haus Markus Ferienhaus Zuderell - Haus Markus is located in Schruns, 2 km from the Hochjoch and Golm Ski Areas and 300 metres from the closest restaurant. It offers rustic bungalows with flat-screen cable TV and a small terrace with views of the surrounding mountains. An array of activities can be enjoyed on site or in the surroundings, including skiing, cycling and hiking..
Haus Klinger Haus Klinger enjoys a peaceful location in Gaschurn, 1 km from the Silvretta Montafon Nova Ski Area. The apartment with wooden interior features 3 bedrooms, a fully equipped kitchen with a dishwasher and a seating area. Haus Flua price per day from € 60 Located in Brand, 500 metres from the Golf Club and the village centre, Haus Flua offers an apartment with mountain views from the terrace and free WiFi. Haus Flua’s apartment also features a fully equipped kitchen with a dining area, Nespresso coffee machine and dishwasher. The free ski bus stops 150 metres away and there is covered parking on site..
Appartements Täli Appartements Täli in Lech am Arlberg is a 5-minute walk away from the Oberlech Cable Car and offers you en-suite rooms and apartments with mountain views, free Wi-Fi and free private parking. On site you can find a storage room with a boot dryer and a terrace with sun loungers. A bakery, a butcher and the nearest restaurant can be reached on foot in 5 minutes and a supermarket is a 12-minute walk away..
Fürmesli Appartements Located in the centre of Lech, Fürmesli Appartements is directly set on the slopes. All apartments have a fully equipped kitchenette with a dishwasher, a microwave and a dining area. 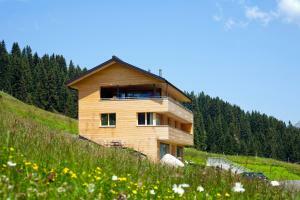 Guests can rent ski equipment at the guest house and buy ski passes there..
Das Tannberg These modern and airy apartments are located in Lech, in front of a ski lift that offers access to the Lech am Arlberg ski area. The apartments also have a fully equipped, modern kitchen with a dishwasher and a microwave. Alpenarena Hochhäderich: recommended ski resort for beginners. Andelsbuch: very good nightlife, many restaurants and pubs. Dalaas / Wald: recommended ski resort for beginners. Gargellen: recommended ski resort for beginners. 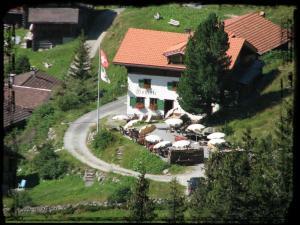 Zürs: excellent nightlife, many restaurants and pubs.